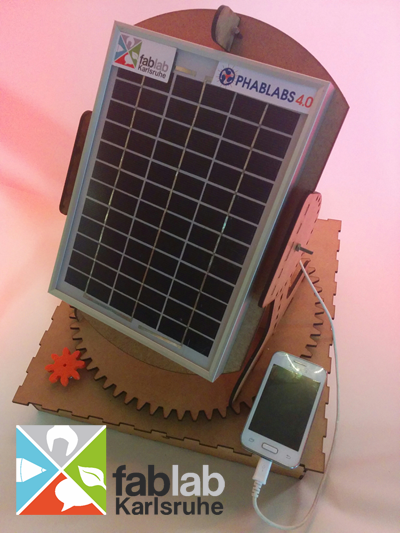 Wouldn’t it be cool to charge your cell phone with the power of the sun instead of simply plugging it into a socket? In this workshop we will build a Heliostat, which is a device that reflects and follows the sun's rays continuously in a fixed direction - in the manner of a sunflower for example. Our heliostat will be able to capture solar energy which then can be used e.g. to charge a cell phone. Build your own Heliostat and learn more about capturing, storing and using photovoltaic solar energy (absorption of light, conversion of light into electricity).